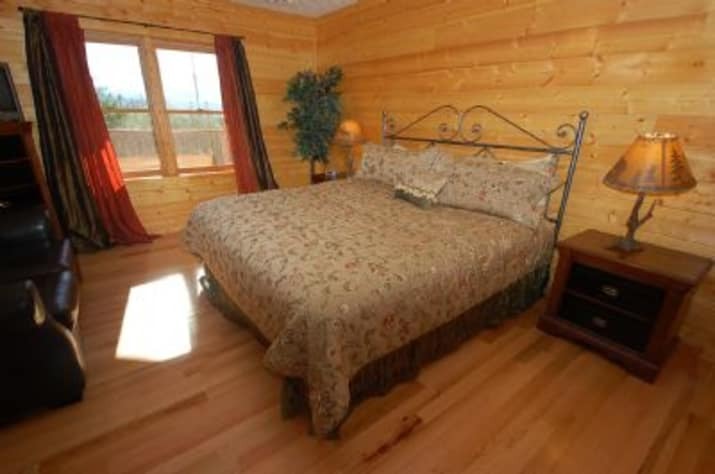 Mountain View Retreat is a spacious luxury cabin. It is very large and can easily accommodate large groups for family, friend or business gatherings. 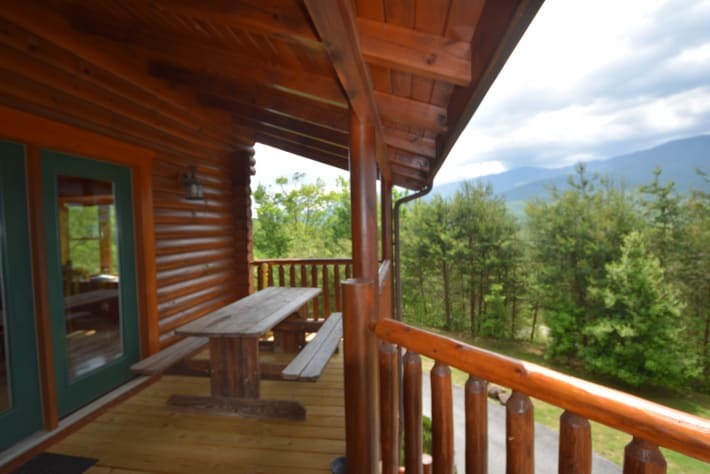 You have an up close, unobstructed panoramic view of The Great Smoky Mountain National Park as well as Mount Leconte and other Smoky Mountain peaks from each of the 2 decks as well as from the yard. 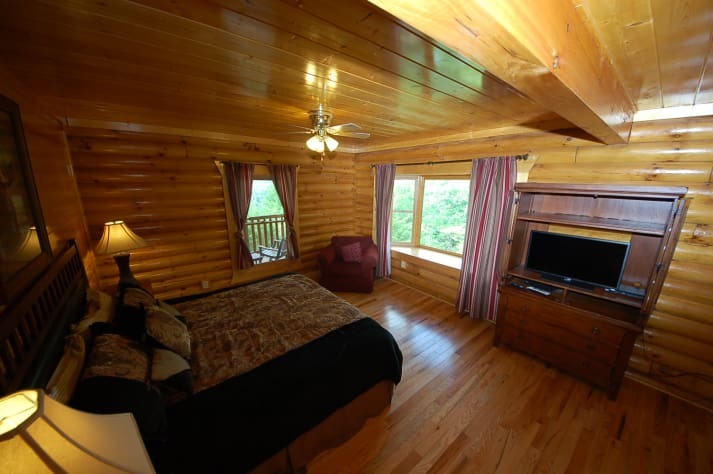 Enjoy the view from the many large windows or step onto the decks to experience the beauty of the Smoky Mountains. 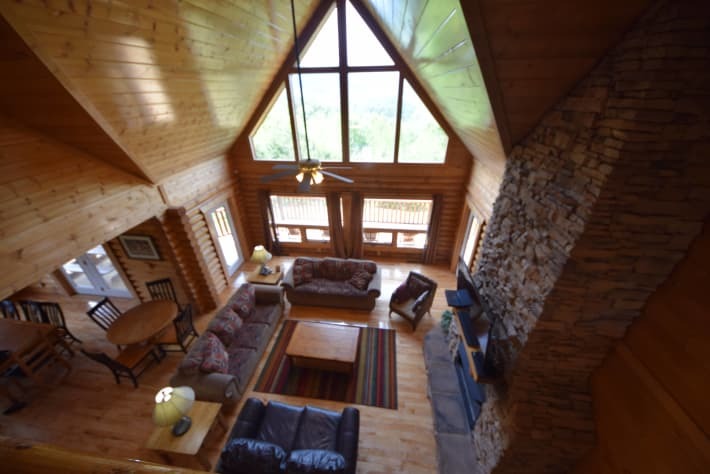 Mountain View Retreat is a real true log cabin. 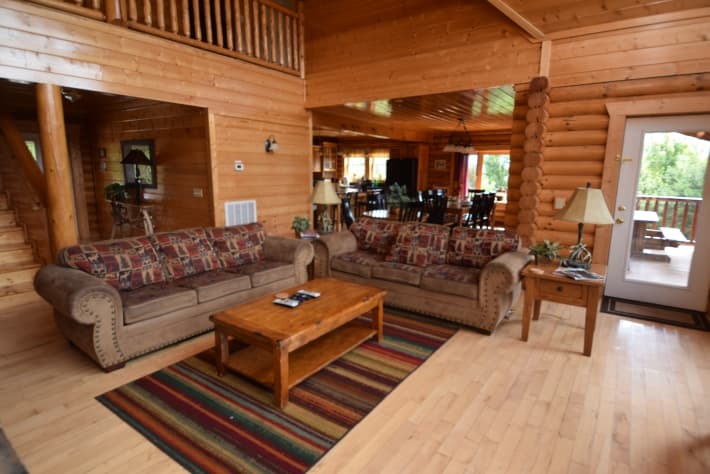 It doesn't just look like a log cabin it is a log cabin! 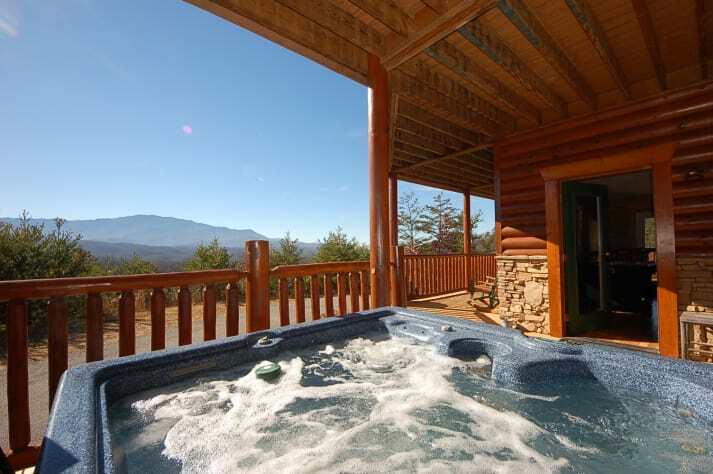 Yet it has all the comforts of a luxury home including central air, theater room, jacuzzi tub, hot tub, well equipped kitchen, laundry facilities and more. 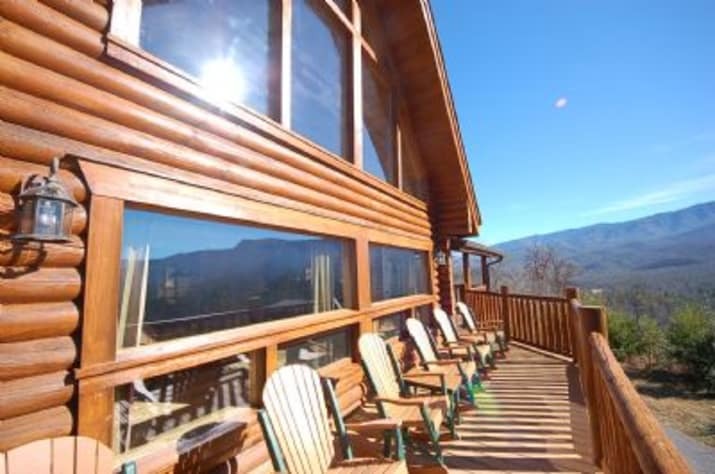 Mountain View Retreat is around 3700 sf. 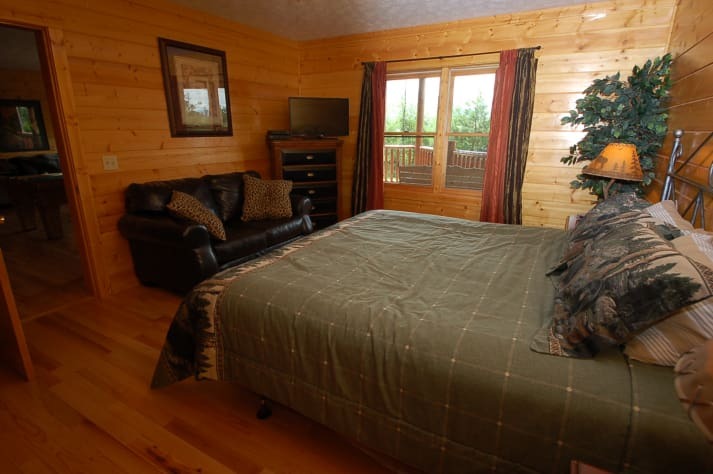 All of the bedrooms have a King size bed, TV and seating area. 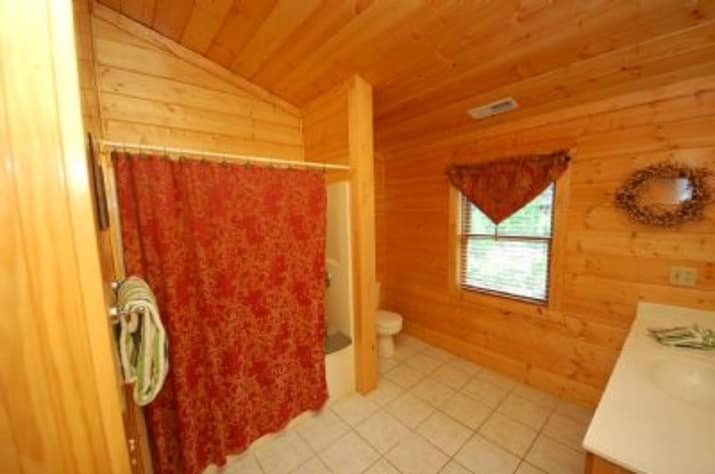 Four have attached bathroom with tub/shower. 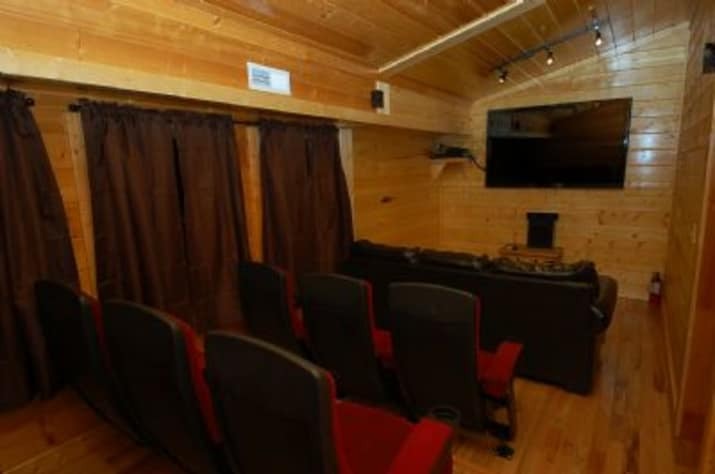 The theater room has a sleeper sofa for another private sleeping area. 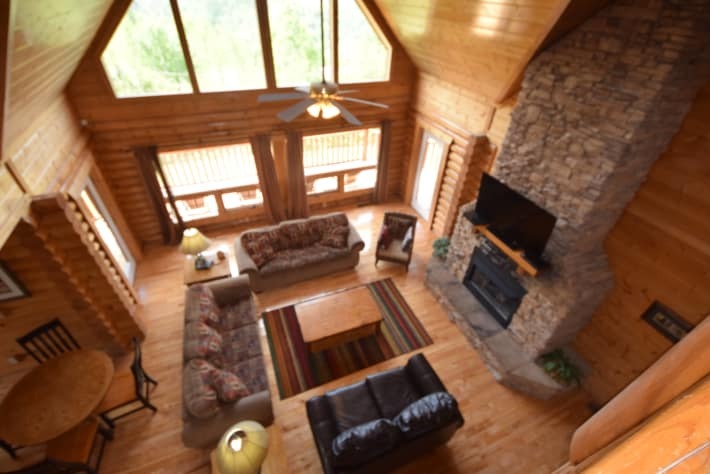 The main floor has one of the bedrooms, full bath, kitchen, living room with fire place and TV, half bath, dining room and laundry area . 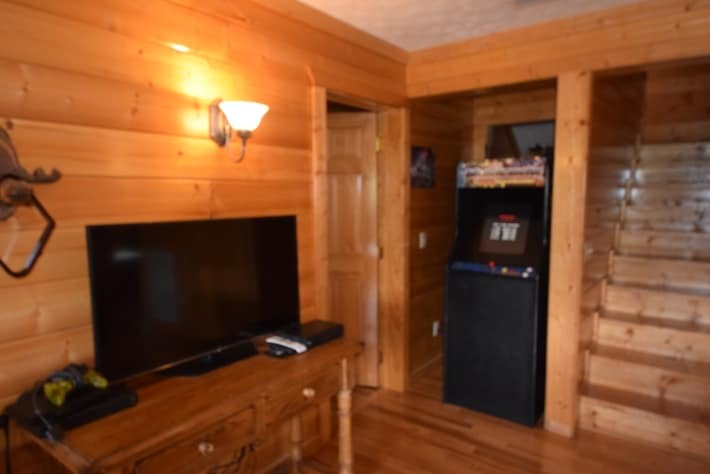 The lower level has 3 bedrooms, 2 full bathrooms and a game room/TV area. The game room features board games, puzzles, air hockey, regulation size pool table, driving arcade game,Play station II and foos ball. 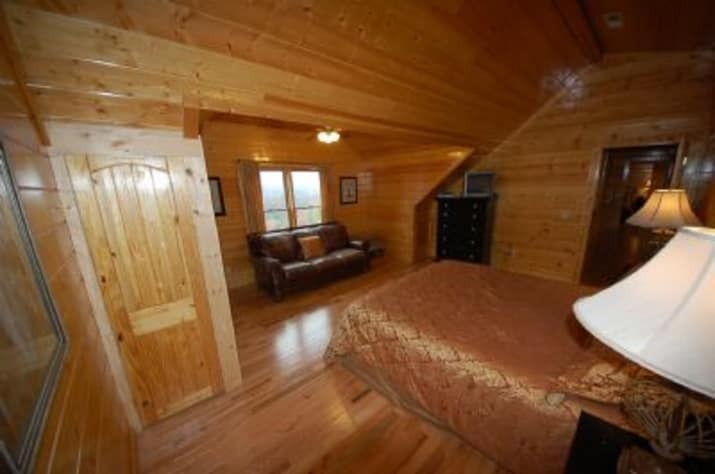 The upper level has 2 bedrooms with attached bathrooms and loft with sleeper sofa and additional seating. 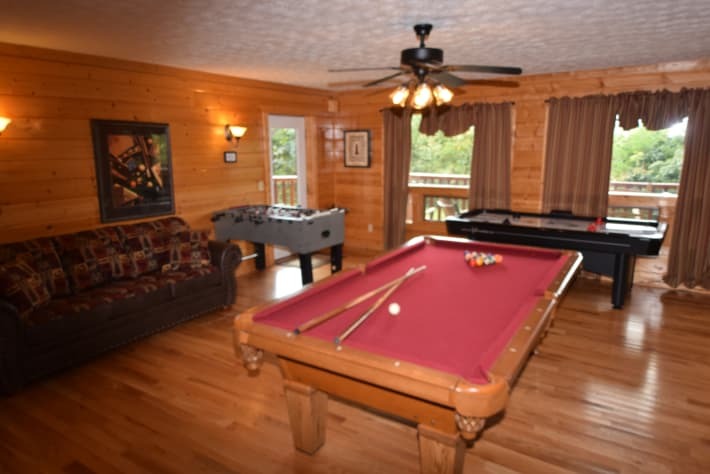 There are many common areas in the cabin to gather - whether you want to play a game or just relax by the fireplace. There is also plenty of space if you want some quiet time. The decks all have a fantastic view and enough seating to enjoy the outdoors! The lower deck has the jacuzzi tub. 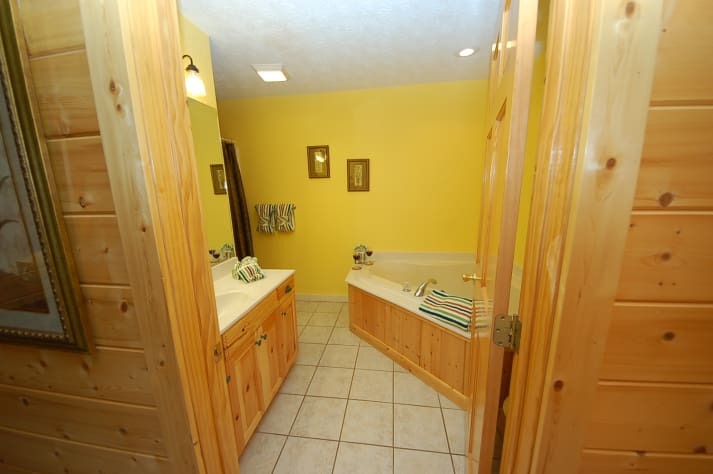 Property was clean and well maintained. Was spacious for our group of 12. Modern and very comfortable. Nice furnishings. Beautiful view. 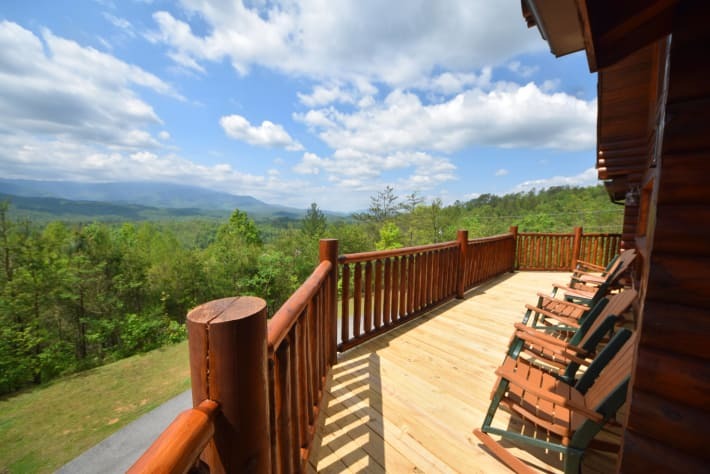 Convenient location to Great Smoky park. TV is very basic package and you might not have some sports channels. WIFI is slow so streaming video (e.g. watching sports) does not work on the WIFI. If you plan to watch sports bring a Firestick or Chromecast and Hot spot to your cell phone. Overall the place is excellent and the technical challenges are minor. Our entire group was very happy with the place and would recommend to other guests. Beautiful home - amazing view! Lovely house - everything we needed for a wonderful week with our extended family. House is well maintained and very clean. Communication with owners was excellent. 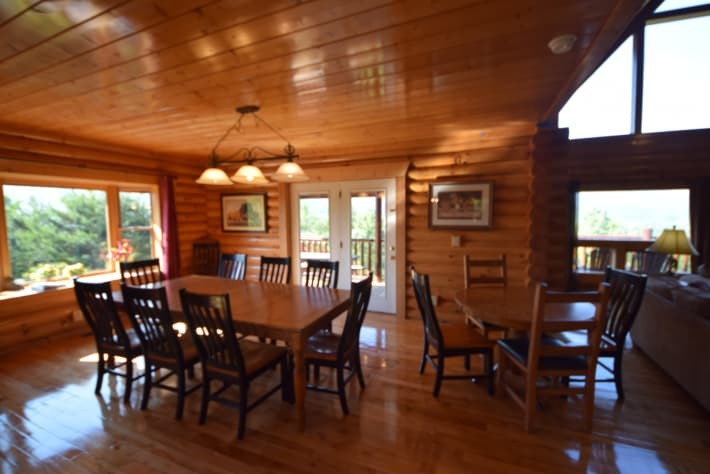 We rented this cabin for an early family Christmas get together. 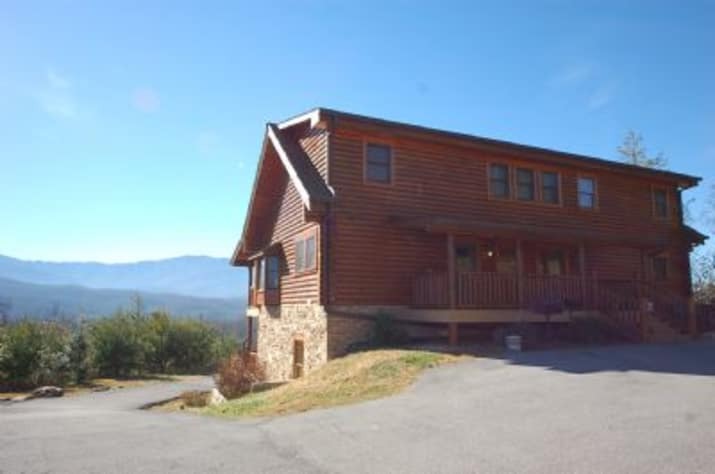 The cabin is in excellent shape and very nice with gorgeous views of the mountains. The owners were very easy to work with and prompt in response. We left a piece of luggage by mistake and Lucinda coordinated us being able to pick up the luggage with the cleaning crew. 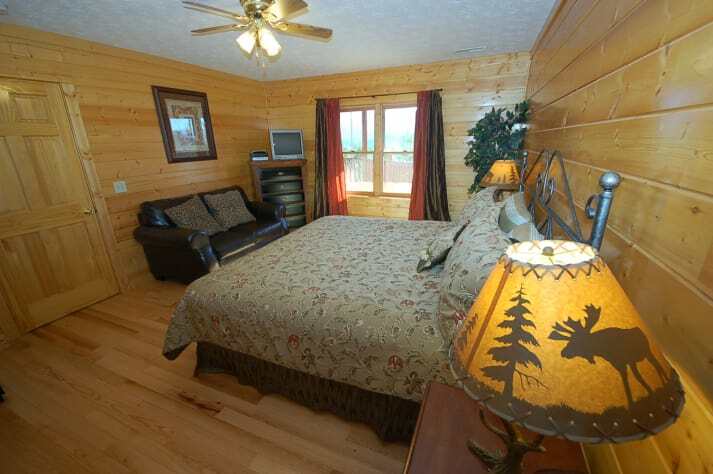 I would recommend this as a cabin to get away from it all. Thanks for everything! House was spotless, rooms are large and layout is great. 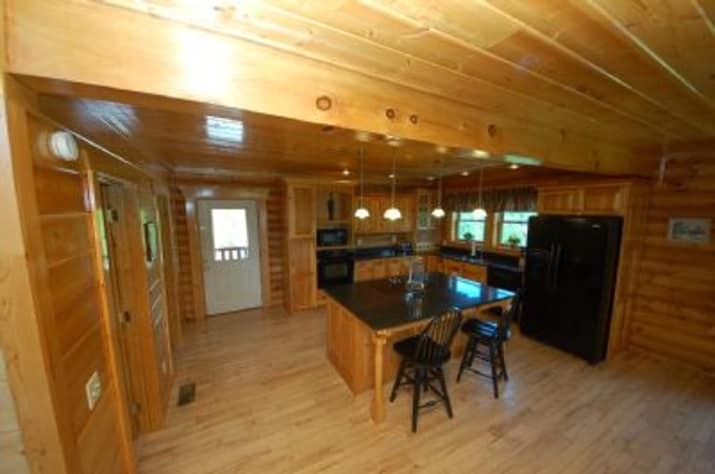 Kitchen has everything you need and is large enough for everyone to cook and move around each other. Owner is VERY responsive and replies immediately to any question or concern you have. The decks and views are unparalleled. 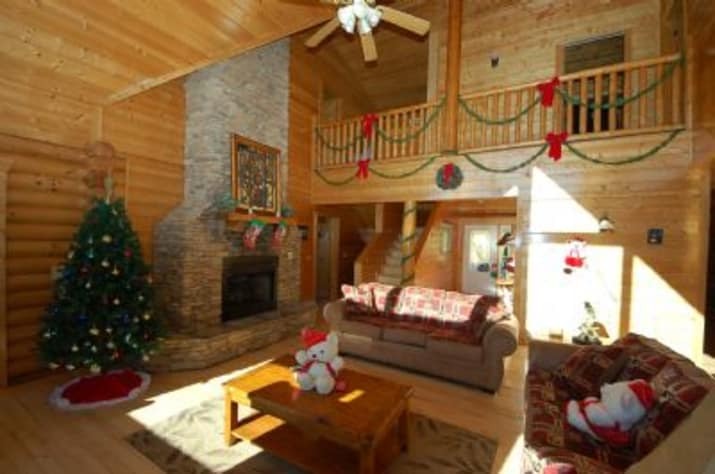 Cabin was decorated so beautifully for Christmas! We loved the fireplace so much and have such great memories of our children waking up to see that Santa had delivered our gifts around the fireplace. Wonderful time, will definitely come again. Everything was perfect. The house was amazing! The views were outstanding. It snowed while we were there and it was breathtaking. The house was very clean and had many more amenities than your normal rental. The game room was a big hit! Everyone had a great time. We hope to book with you again soon. 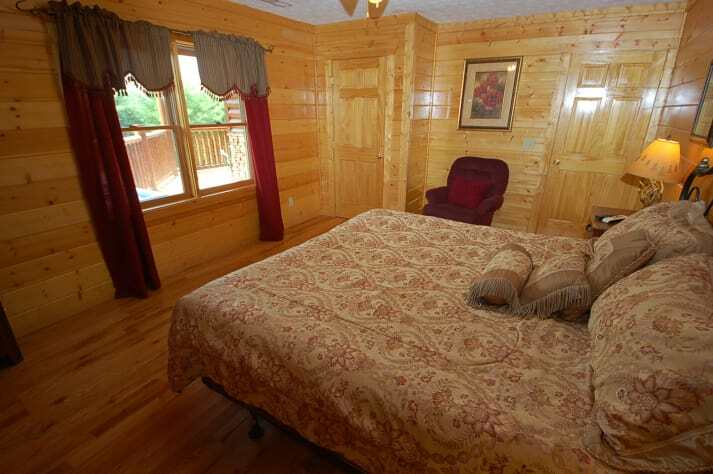 The cabin was everything it was described. Sufficient bedding and towels. Usually, I bring some extra pots and baking sheets, but this time, there were more than enough. Everything worked properly. Everything was clean and well stocked. Plenty of room for all. Everyone enjoyed the game room. 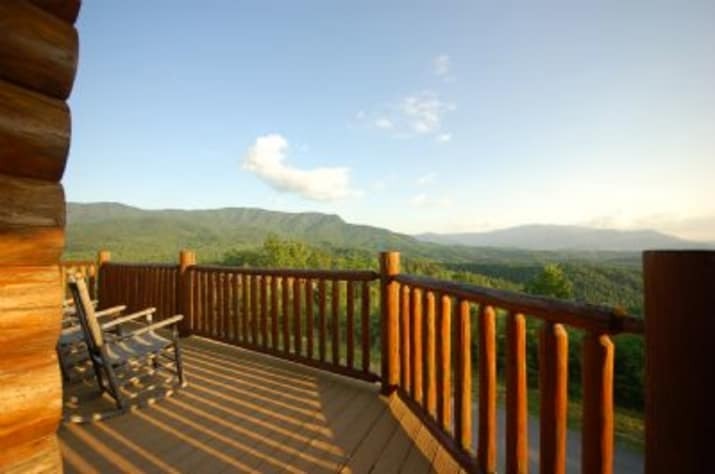 The view of the sunrise with morning coffee on the deck was a great way to start the day and the sunset over the Smokey Mountains with a glass of wine, was the perfect way to relax at the end of the day. This is a perfect place for adults and children alike. Thank you. We had an absolutely wonderful time! The leaves were in full color and the view from the deck of the lodge was spectacular! After a day of touring, the evenings were spent playing pool and air hockey while enjoying the company of family. We may have just started a yearly tradition. Our group's first impression was WOW, and that continued throughout our stay. The space is well kept with plenty of room for all. The kitchen is well stocked. We ate in several nights with no issues. The entire home is well maintained with plenty of parking and space for the group to interact or have alone time. The decks are excellent and were used often. The view is phenomenal. I can't say enough good things about this space. Now for Lucinda I have a HUGE shout out, we actually booked this space for 2016 but because of the wildfires we were unable to get up there. Lucinda was great about it, in the midst of the tragedy, and allowed us to move our booking to 2017. You cannot ask for a more accommodating host, a better space for large groups and we will be back!